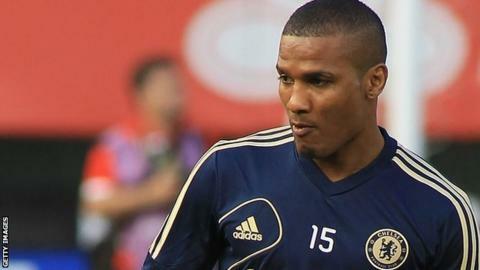 Chelsea winger Florent Malouda has claimed he is being made to train with the club's youth team. The 32-year-old has a year left on his Blues contract and has been left out of the club's Champions League squad. He posted a picture on Twitter of Chelsea's under-21 headquarters, with the message: "This is where I'll train for my last season with the Blues!!!" The France international has not been included in any of Chelsea's squads for any of their games this season. Malouda has been linked with a move away from Stamford Bridge but a transfer has not materialised. He joined the club for a fee believed to be £13.5m in July 2007 from Lyon and played 149 Premier League games.